During an MTV interview for this summer’s blockbuster alternative Obvious Child, Jenny Slate said she’s plotting a feature-length film starring her adorable stop-motion creation, Marcel The Shell. 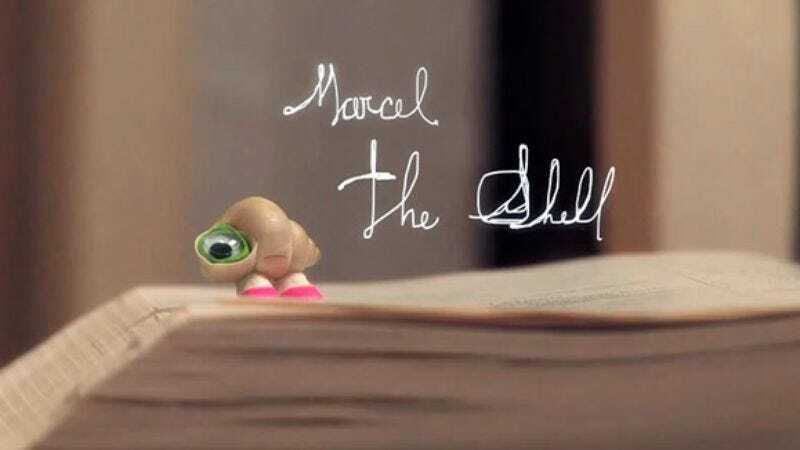 Marcel The Shell With Shoes On was first introduced through a pair of short films, in which Marcel talks about the various activities, hobbies, hopes, and disappointments of a tiny shell, then discusses with an off-camera interviewer just how tiny he is. (Small enough that he ties skis to his car with a strand of hair.) Slate says she’s planning for the feature-length Marcel to have lots more songs; a preview of the self-explanatory “My Mother Got Lost In The Rug” can be heard below. While there’s nothing official about any of this yet, it’s safe to say that this tiny shell has enough charm to adapt to the big screen.